So sorry for the week long interruption in posts. We had another show this past weekend, the Hoosier Hills Fiber Festival in Franklin, IN. 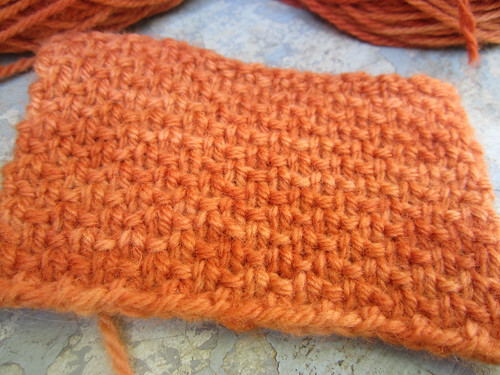 I regretfully neglected to get any pictures. In my defense I didn’t have a decent internet connection most of the time while we were there. The Wi-Fi at the hotel was abysmal and there was none at the Johnson Co. Fairgrounds anymore. I tried tethering my phone but the signal was being blocked by the building. I could sporadically get websites to load and emails to come through, but you could forget uploading pictures. Sigh. Anyway we are back home now with REAL high speed internet. Bliss! We are actually going to be home for a whole two weeks! Of course we won’t be idle. 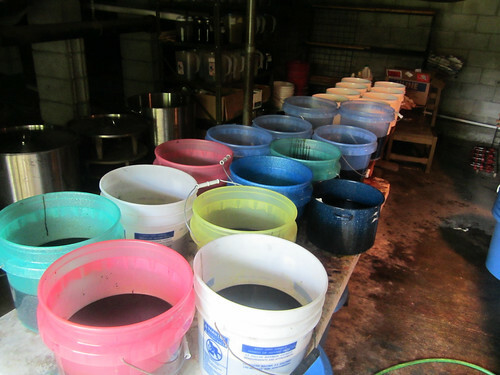 We have a big order to dye this week. 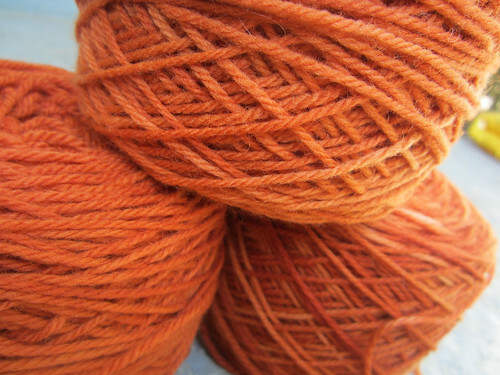 I got all the dyes mixed the last two days and got the yarn ready for dyeing today. We will probably be able to get all of it done in a day or two. 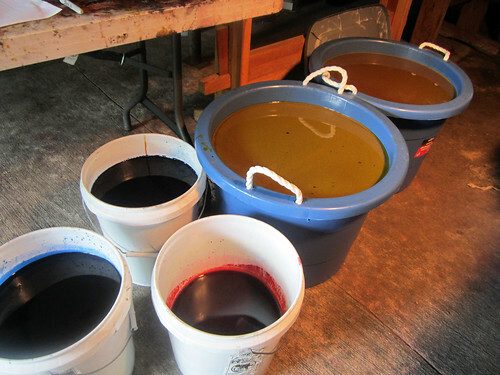 I can’t show you the color or tell you any details since it is for a club, but here’s the boatload of dye I mixed up. 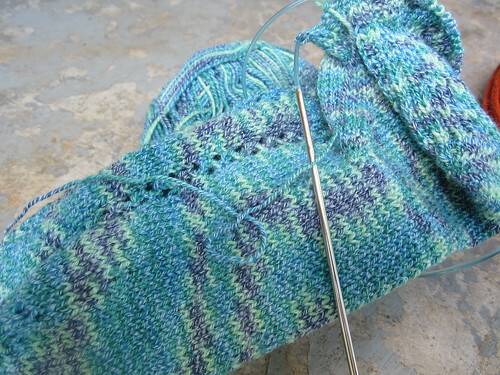 I got a little sock knitting done, but to be honest I was itching for something different yesterday. 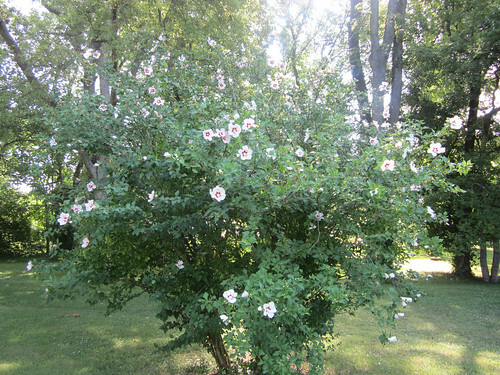 I thought this Rose of Sharon was looking especially pretty this morning. The picture doesn’t give you the full scale of it’s size. It’s probably about 12 feet tall, believe it or not.